We are proud to present the SME Digital Health Index 2018, an annual survey of 1,000 Irish SMEs that measures attitudes to and use of digital assets. In the report, we recommend a national Digital Activation Campaign, to help online SMEs maximise their digital presence, as well as government funding and support programmes, to be managed directly by sector bodies and representative organisations. 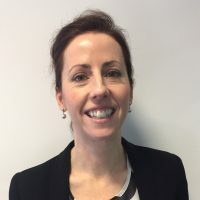 According to the SME Digital Health Index’s ‘Digital Skills Assessment’, which measures Irish SMEs’ digital skills capabilities on an ABC grading system based on their response to survey questions, SMEs scored an average B grade in ‘communicating’ and ‘transacting’, indicating a fair to good use of digital assets to communicate online with customers, facilitate e-commerce and manage other business transactions online. However, SMEs achieved an average C grade, in the ‘boosting’ category, indicating a ‘poor use or understanding’ of digital assets like business productivity software, online messaging platforms, online marketing and promotion tools or data analytics software. This indicates a widespread inability of SMEs to use software and digital skills to improve business productivity, analyse customer data and promote an online presence. 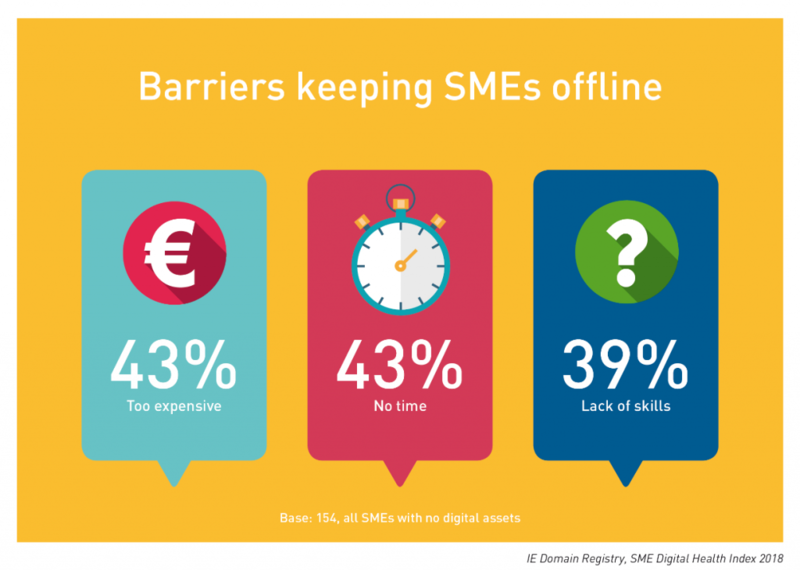 According to the SME Digital Health Index, two of the biggest barriers to SMEs doing more online are a lack of time (24%) and a lack of the technical skills (11%) perceived as necessary to build a website, integrate e-commerce, or make use of productivity or analytics software. 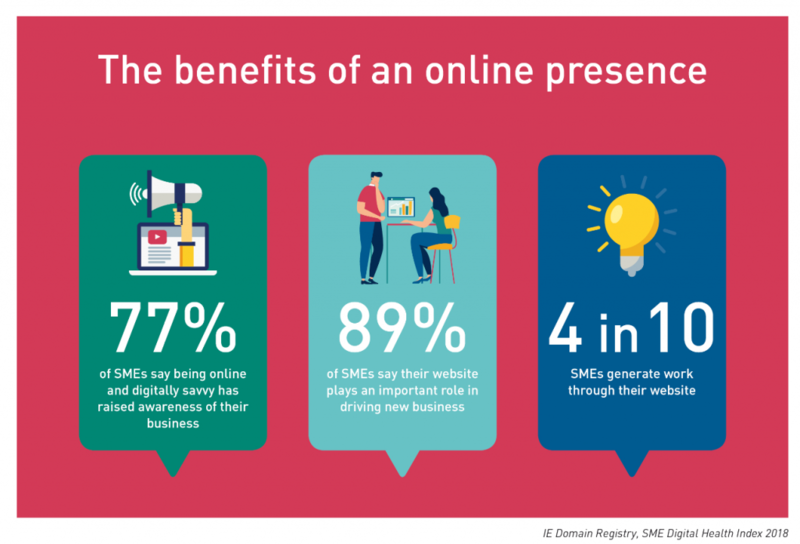 A quarter (25%) say that they are ‘doing all they can’ online—even though only 3 in 10 SMEs can take sales orders through their website. There appears to be an undue level of fear, uncertainty and doubt among SMEs business owners. There are misconceptions about the cost and time required to establish and grow a digital presence. Today, using ‘DIY’ software like WordPress and Wix, SMEs can build or update a professional website in a short space of time with little to no technical experience. The cost and complexity of plug-in digital tools to enable the addition of a shopping cart or ‘click and collect’ facilities, has plummeted in recent years. In response, we are recommending to Government the creation of a national ‘Digital Activation Campaign’ that demonstrates the value of e-commerce and digital to Ireland’s SMEs and micro-businesses. The campaign, led by government, would entail the provision of practical, hands-on workshops to teach SMEs how to install tangible digital tools on a website. It would include the creation of a new online resource, akin to the Government’s ‘Citizens Information’ website, with comprehensive how-to guides for website building, digital marketing, selling online, and data analytics. We have also recommended that funding for SME digitisation and website development is routed through and overseen by trusted sector bodies and representative organisations. This will reduce the levels of administration by Department officials, and also reduce the perceived bureaucratic burden on individual SMEs, symptomatic of initiatives such as the Trading Online Voucher Scheme. Sectoral industry bodies and representative organisations are trusted by their members and are an ideal conduit for disseminating digital skills and knowledge to their members. They are ideally placed to identify the tools, applications and software products that are suitable to their individual sector, which in turn, will lead to increased revenue and digital sales. They also have the sectoral insight required to build a funding or training programme that works within the parameters of their industry. – Fewer than 1 in 10 SMEs have availed of any public or private digital funding or training programmes. 44% of SMEs said they would prefer to have one-on-one mentoring in formal digital skills training.